Life just got easier. Take a deep breath, relax and start enjoying the ride. From here on in, you call the shots. Take a long weekend or a longer time to indulge in what you want to do. Golf, fishing or the exhilarations of white water kayaking, surfing a set or conquering those peaks, you and the Avida Winnebago Adventurer are a perfect team. Head out on the highway and take a road to a destination guided only by your imagination. The Avida Winnebago Adventurer has plenty of storage both inside and out that allows you to take a variety of clothing and sporting equipment for all your adventures. The leisure lifestyle pack is optional and provides cool air conditioning in warm weather or turn on the diesel furnace heater on those cool nights to keep your toes and fingers warm. Sit outside and relax under the shade of your wind out awning. Swivel the cabin lounge chairs for comfortable seating, say when an unexpected guest might pop by. The bathroom is spacious and self contained – hot water on tap allowing you to wash away all the days’ events and spruce up for an evening out. The kitchen is well equipped for those culinary delights and after a hard day’s enjoyment, stretch out on the large comfy double bed for a great night’s sleep. 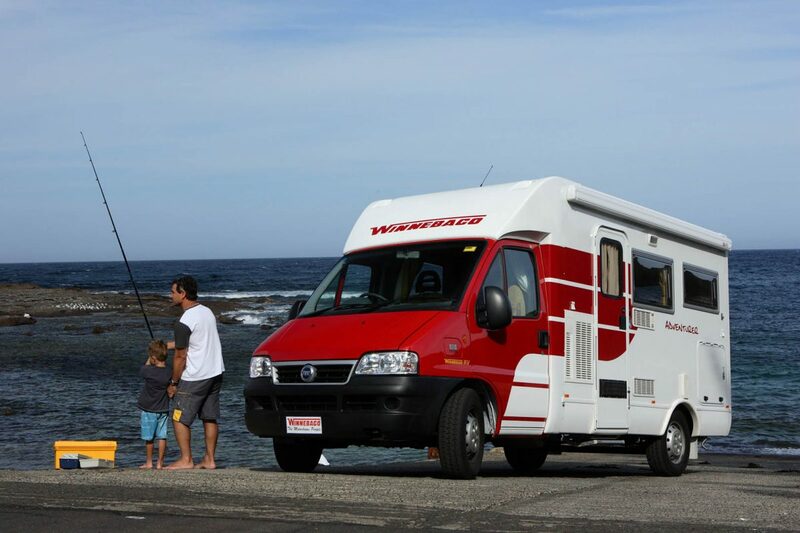 The Avida Winnebago Adventurer is no longer manufactured and isn’t able to be purchased as a brand new motorhome. You should see the Avida Leura range which has similarities to the Adventurer. Click the button below to take a look.